In 2006, I moved to Taos, New Mexico from Colorado to help create a ceramics community. This included a summer workshop program, two residencies, ongoing classes and variety of firing possibilities. in 2014 I handed over Taos Clay and I am currently pursuing making full time. Taos Clay helped me draw in ceramic artists from all over the world and has been the majority of my education and background in ceramics. It takes a community to fire many of the kilns we have built around Taos and Taos Clay has been a vital part of keeping the ceramics community aware of the trends of contemporary ceramics. I have a gallery in downtown Taos where i show the majority of my work. I also host workshops in Taos and around the country as well as showcase my work in hotels, galleries, boutiques through out the United States, The intention of my website is to not only create an avenue to sell work directly to my collectors but also share my story of creating a life as an artist, father and avid outdoorsman in rural New Mexico. Please visit my daily photo blog or if you have the opportunity, come visit me in my gallery and studio in Taos, New Mexico. Ceramics is a medium that requires patience and experience. In no other craft is the artists up against so many variables. The clay and the firing process are constantly educating and opening up new challenges. Working in clay has been a meditative, grounding journey. It is humbling yet, rewarding. You are an alchemist trying to recreate and refine the elements into something functional and inspiring. Since moving from London to the U.S. in 1986, Elizabeth Rose has worked as a professional sculptor, showing in solo and group exhibitions in the U.S., Australia, Canada and the U.K. Recognized for her innovative works in ceramic, bronze and steel, her sculptures have been featured in the San Francisco Examiner, the Houston Chronicle, the Albuquerque Journal, the Sunset Western Garden Book and are on public display in the City Santa Fe. Her earlier works were brightly colored cut and folded steel figures, often with a kinetic element. Since 1995, Elizabeth has worked in ceramic and bronze, creating large and small-scale figures, vessels, wall-reliefs and abstract works. Presently she is developing smaller, touchable ceramic pieces reminiscent of archeological findings. Elizabeth Rose has shown in museums and is in private and corporate collections. She was born in India and lives and works in Galisteo, near Santa Fe, New Mexico. Originally from Houston, Texas, I now live in Santa Fe. After the Air Force (1960-1964), I attended the University of Houston (BFA, 1967) and the University of New Mexico (MA, 1969). My work in ceramics, using animal imagery, was first inspired by the realities of hunting and fishing, and later by their power as symbols, surrogates and totems. My first teaching position was at Nichols State University, Thibodaux, Louisiana. I taught at and contributed significantly to the programs of Louisiana State University in the 70s and 80s and Ohio University beginning in 1990. My later work continues an underlying eroticism inspired by Moche pottery in addition to an increased sense of socio-political content. 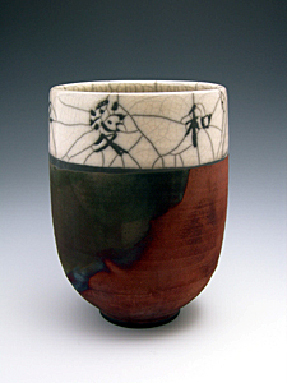 My work can be found in the collections of the Arizona State University Art Museum; Greenville Museum of Art, Greenville, SC; International Ceramics Studio, Kecskemet, Hungary; Los Angeles County Museum, Los Angeles, CA; Mint Museum of Art, Charlotte, NC (two works); and the San Angelo Museum of Art, San Angelo, TX. I am a past president and a Fellow of NCECA, and I was awarded the NCECA Excellence in Teaching Award in 2006. Other awards include the Southeastern Center for Contemporary Art Fellowship, 1980, an SAF/NEA Fellowship, 1985, several university sabbatical awards, and a fellowship to the International Ceramics Studio (ICS) in Kecskemet, Hungary, 2004. The International Academy of Ceramics, Geneva, elected me a member in 2005. I have been awarded a Fulbright to Ireland for 2011. I was at the National College of Art and Design in Dublin for 3 months. Work on this page comes from that the period in Ireland. A decades-long association with Penland includes a term as Chair of the Board of Trustees. Visiting artist appointments have included the NY State College of Ceramics at Alfred, University of Georgia’s Cortona Italy Program, Haystack School in Maine, Penland School in North Carolina, the Rhode Island School of Design, and Anderson Ranch Arts Center in Colorado. My work and teaching has led to extensive travels through Latin America, Europe and China. In 2008 I returned to the ICS in Hungary and again in 2010. 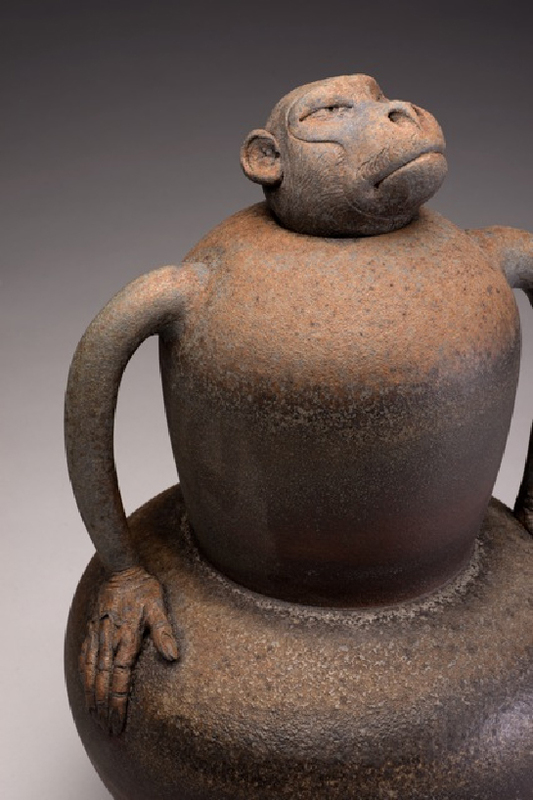 Mono con manos – Stoneware. 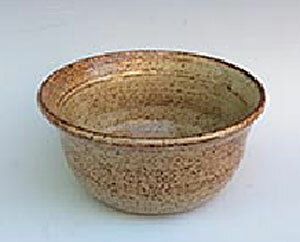 Wheel thrown pottery form, Monkey head is repoussé modeled from slabs. Wood fired ^9 in catenary kiln with cottonwood and reduction cooled at Red Lodge Clay Center, Montana. No applied glazes or slip. JoAnne DeKeuster grew up near the small town of Waumandee, Wisconsin. She received a B.A. in Art Education from the University of Wisconsin – Eau Claire. Studying at Northern Arizona University in Flagstaff she received a Masters degree in fibers/ceramics. Coursework there included travel and study in Japan. After completion of her masters degree at Northern AZ University, Jo and her husband continued to spend summers in Flagstaff. They began working for the University as kiln assistants and eventually each taught the summer Noborigama Wood Fire class. In 1997 the couple bought property in Taos Canyon and began building their home, studio, and kiln area. In 2003 they moved to New Mexico full time. professional, full-time pottery career that now centers my life. I moved to New Mexico in 1999 and, after 4 years in Santa Fe, now live in Dixon, a small rural farming village rich with its community of artistic spirits. My studio is a small adobe house nestled in the hills at the edge of high desert wilderness where I enjoy quiet, peace and simplicity. I moved to Abiquiu, New Mexico full time two years ago. Knowing that the environment should inform one’s artwork, I am bursting with new images, thoughts and inspirations. I am listening to the land and allowing my intuitive reactions to transfer the clay sculpture to a spiritual and meaningful level. I feel fortunate to be able to embrace this beautiful area. My days are spent in the studio working or teaching workshops. I am teaching week workshops at my studio in Abiquiu and will be teaching at Anderson Ranch and Taos Clay this summer. I also offer a class once a week. I encourage creative thinking with students. My sculptural pieces are mainly coil built and are multiple fired to achieve a painterly quality with slips, oxides, underglazes and glazes. I want to feel mystery and to have questions in my finished work. Joanne began her love of pottery when she took her first throwing class in Illinois thirty years ago, right after her daughter was born. After that, the demands of motherhood, moving to New Mexico, volunteering in the community, and a teaching career, all took precedence over the pursuit of art. Now, years later, she has taken up her love of art and pottery once again. For the past five years she has been playing with handbuilding and on the wheel. She calls her work Funky Functional because it is both useful and unique. Sometimes the pieces contain messages such as scripture or other inspiring, positive thoughts. Recently, she has begun to enjoy sculpting animals. She has participated in local arts and crafts fairs as well as shown work in her hometown in Illinois. Joanne is also a watercolor painter who has been instructed by some very talented New Mexico artists. She has earned her art endorsement and is currently licensed by the state of New Mexico to teach art. She is an active member of the New Mexico Watercolor Society. She loves a challenge and some of her favorite subjects to paint are animals and her grandchildren. Some of her goals for this year are to bring her painting and pottery to the next level of development. She has recently joined NMPCA in order to gain experience from all of the talented professional clay artists and to be a more active part of the art community. She believes that working with clay is very joyful and healing, almost a form of therapy. She looks forward to meeting and learning from the other members who share her passion for clay! 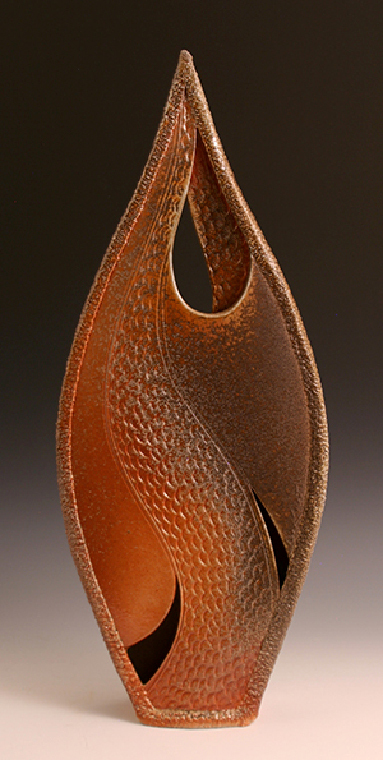 Terence studied at the University of Oklahoma, receiving a Fine Arts degree in Object Design. From the time he fired his first glazed piece, he knew clay was his medium of expression. However, following graduation, he applied his design expertise in graphic design working at Sandia Labs for many years. During that time he designed and constructed a studio and a large home for his family in Tijeras Canyon. This proved to be such a time-consuming task that he was unable to give much time to his ceramic studio. Since retiring from Sandia in 1989, he has at last been able to devote time to working with clay . He has exhibited work in the New Mex. Potter’s Assoc. 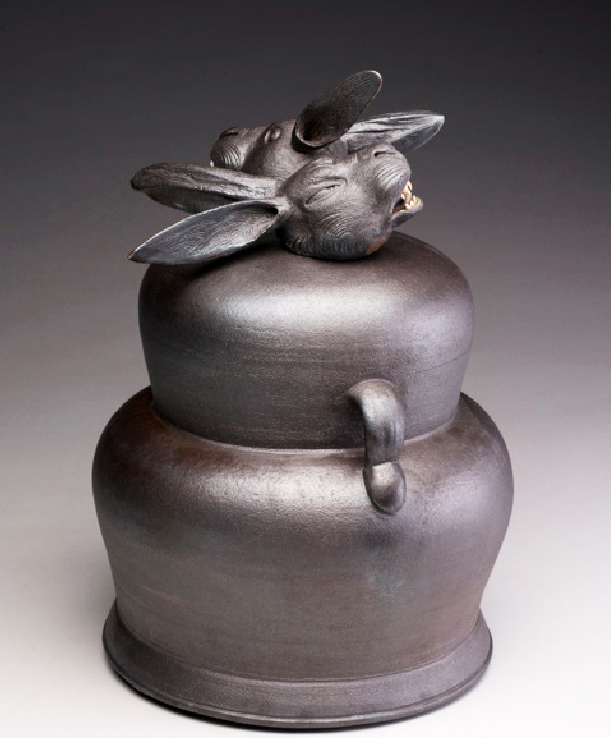 Celebration of Clay, the Biennial Southwest Artist Series at the Albuquerque Museum, The “Internal Illumination” exhibit at The Foundry Art Centre in St. Charles, Missouri , and the 17th National Ceramic Competition at the San Angelo Museum of Fine Arts. Although he has produced many functional pieces he prefers one-of-a-kind abstract sculptural items. Here are images of some of his work. Terence has been an NMPCA member since 2002. Growing up in New Mexico gave me the opportunity to experience the vast richness of modern and ancient art. I originally studied art with my mother, accomplished Southwestern oil painter Helen L. Minton who studied with four of the original founders of the Taos Society of Artist in 1932. In 1933 she studied Southwestern Indian Art with artist and teacher Kenneth M. Chapman in Santa Fe. Exposure to this rich background provided me with an appreciation of ancient and contemporary art forms and informed much of my work. I got my first pottery wheel when I was 11 and have continued to work primarily in clay although as a multimedia artist I have worked in painting, jewelry, fiber, glass, metalwork, clay sculpture, graphics and woodworking. In my current multimedia work I combine ceramic art, painting and sculpture using clay and metal forms as the base. I am now focusing on two very different lines of work, functional stoneware with carved animal forms and clay wind bells with painted animal images. My education and chosen career were in the field of electrical and computer systems engineering in which I spent forty-four years before retiring, December 2004. During the latter two years of employment I had, with the encouragement and support of my artistic wife, Penne, begun to, “play with clay”. With study, focused attention and determination, I slowly learned to throw on the wheel. The past three years, I have turned more toward hand building using my understanding of geometric relationships (envision the organized slices of the spectacular Sydney Opera House). I find that slabs of clay can be formed and molded into almost any shape imaginable. The fun comes from experimenting, discovering, and attempting to, “break out of the box!